that every last member of this campus is equally deserving to have their thoughts and concerns heard by the administration that governs them. As President, I will actively seek ways in which our class can collectively transcend the limits constructed around us by serving as your representing voice and liaison. I vow to readily broadcast both grievances and needed initiatives—whether in regards to increased sustainability, equality, opportunity, or otherwise—so that we may improve inter-communal relationships and overall quality of college life. It would be my honor and privilege to serve as the President for the class of 2014, and I thank you all in advance for your continued support! 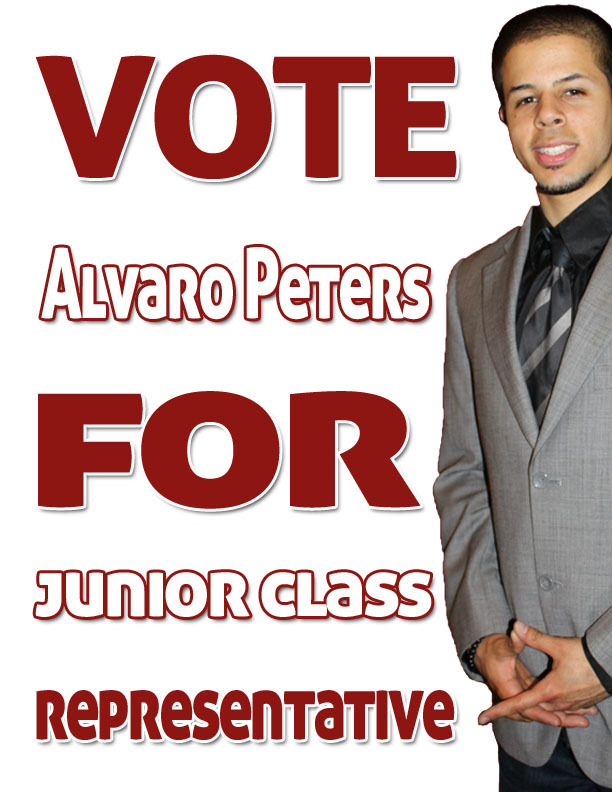 On May 25th, Vote Alvaro Peters For Senior Class President!